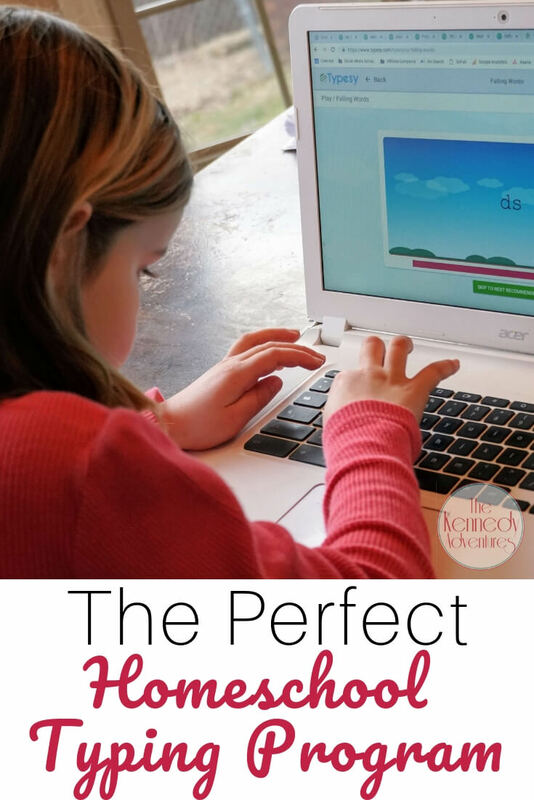 The Only Homeschool Typing Program You'll EVER Need - The Kennedy Adventures! 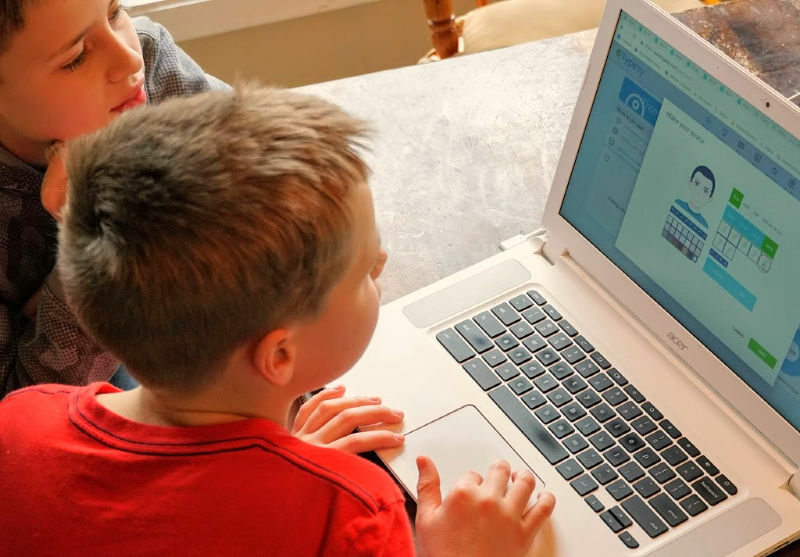 Are you looking for a homeschool typing program? We finally found the perfect fit for our big family! This fall, my twin boys started classes at a local classical Cottage School. I have to be honest, I was a nervous wreck about their Composition class. Last spring, we learned that between the two of them, we’re dealing with dyslexia, dysgraphia and auditory processing disorder. That’s a lot to try and navigate at home, much less in a classroom setting. I approached the teachers and administrative staff and explained the diagnoses, as well as what my boys would need in the way of accomodations. I laid out what I would be doing at home, and had a fair amount of requests for the classroom as well. The teachers and staff were amazing, and have been totally on board with my sons’ needs. One of the accommodations we requested was typing the boys’ composition papers. The only issue? They needed to learn how to type. We tried a few different programs, but they didn’t seem to stick. I needed a comprehensive program, with a clear cut path. I also needed a program with a longer subscription. Three and six month programs just weren’t working for us. Our schedules would get crazy, and the typing program would sit, forgotten. Disclosure: I was compensated for my time to use and review Typesy, but all experiences are our honest opinion. I was frustrated, but then we found Typesy. I quickly figured out that it would be the ultimate solution to our typing issues. 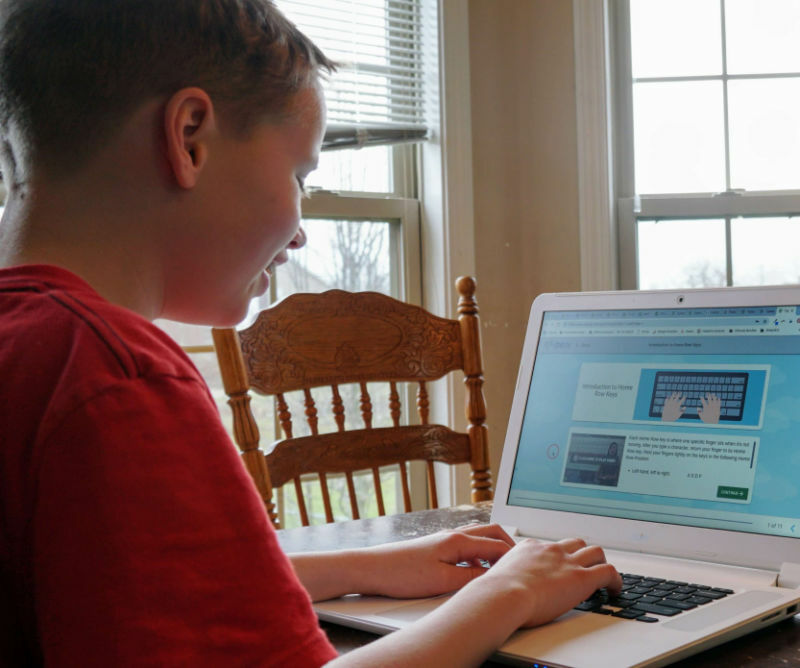 Along the way, I’ve figured out a few tips and tricks for making your homeschool typing journey more successful. Our classical homeschooling curriculum is pretty intense, so adding another subject to the plate can be tricky. Typesy is lots of fun for my kids, so I don’t hear them complaining. They enjoy trying to beat a timer, and playing games for practice. When you’re beginning to type, it can be like slogging through concrete. Typesy’s dashboard makes it so easy to track progress. There’s also adaptive pop-ups along the way that let you know if you’re improving, or if you need to repeat an area again. I know, I know. We’re all busy. Trust me, with 5 children still at home, I get it. But, I think part of learning how to type is consistency. 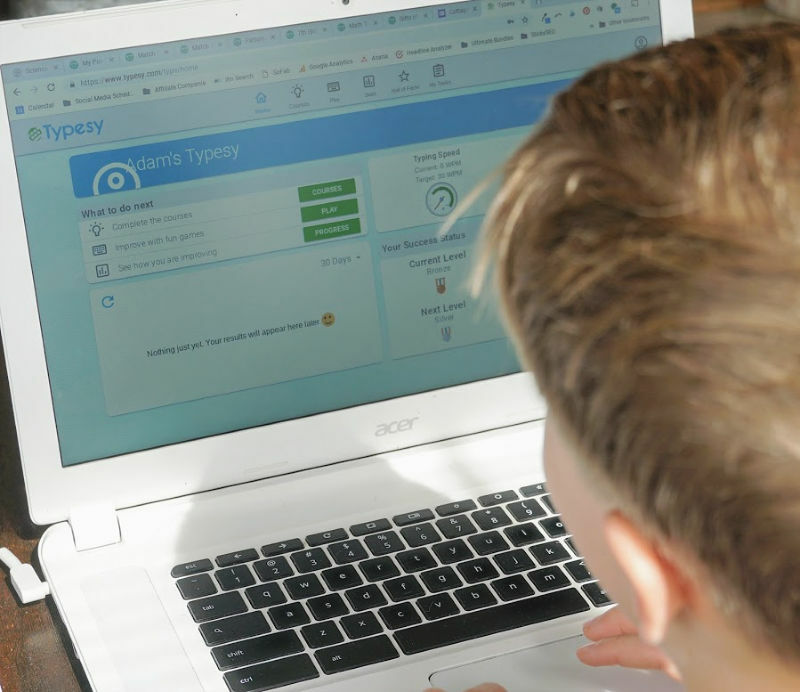 During the school year, we’re using Typesy 3 times a week, for at least 10 minutes a session. Adam loves it, and I often have to tell him to log off, so he can work on his other subjects. He’s motivated by the progress he’s seen already, even in just a few short weeks. This one was easy for us, since my children are enrolled in a Cottage School, and their composition classes requires typing this year. They all know how to open Google Docs, write their assignment, and share it with me for editing. Since we started Typesy, they’re getting faster and more accurate. Time for a Mom Confession. My children think I type phenomenally, but they fail to see that my speed doesn’t match my accuracy. Most of the finger flying they see includes me backing up and correcting. When my kids see me working through a Typesy lesson, and struggling to keep my fingers on the home keys, it motivates them. They want to work hard to beat Mom. 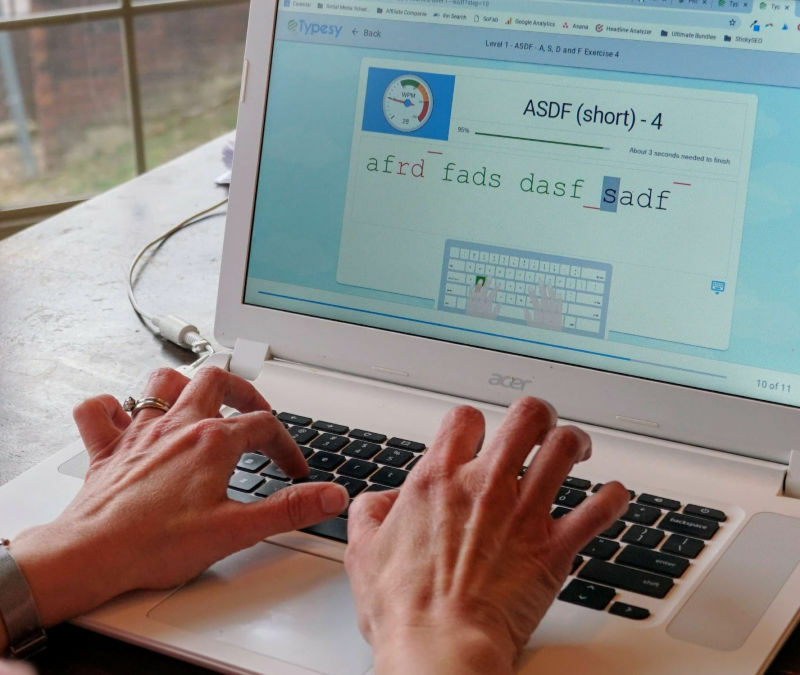 Typesy relies on muscle memory and repetition to teach and build typing skills. It’s an amazing compliment to our classical homeschool. Short lessons are perfect for my busy crew, and keeps them from getting bored. 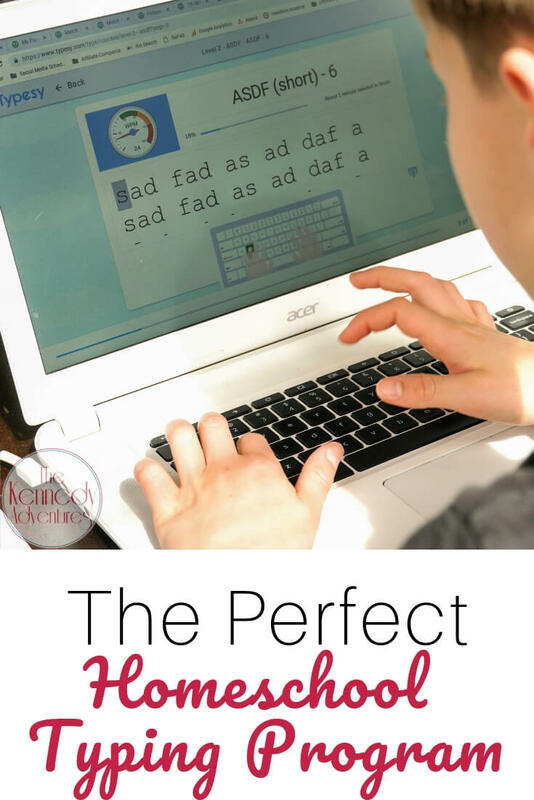 With the video lessons, my children have a personal typing teacher, coaching them every step of the way. This is a wonderful, hands off approach for me! 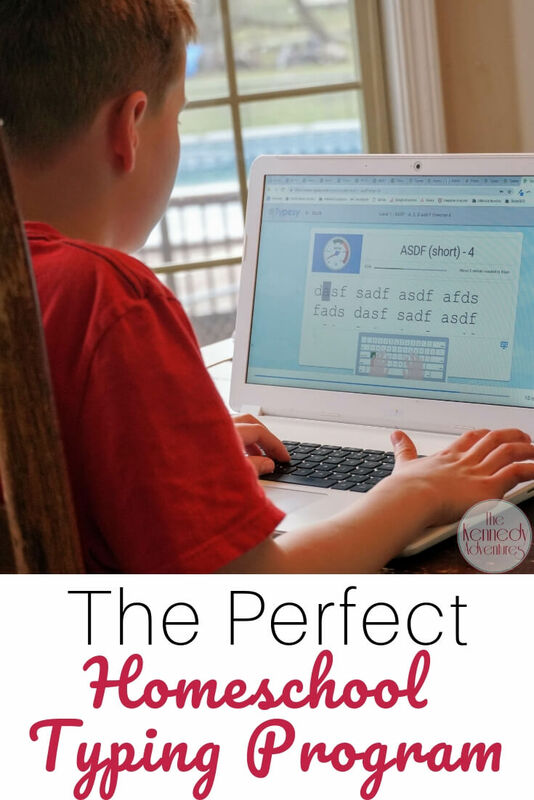 I can work with other students or catch up on housework, knowing my children are learning touch typing the right way. Like I mentioned before, the Typesy admin dashboard is so easy to navigate. I was up and running in a matter of minutes. The administrative dashboard allows for loads of customization. You can keep it simple and use the presets, or change things up with the font, avatar access, and games. I don’t have to worry about lesson plans, tests, or evaluations. All I do is set up my dashboard, add my students, set up my classes and go. It’s hands off for me — just check in from time to time in the dashboard to see how everyone is progressing. That’s a blessing for a mom like me, who’s juggling multiple kids, homeschooling, and working. Even the student dashboard is full of information. 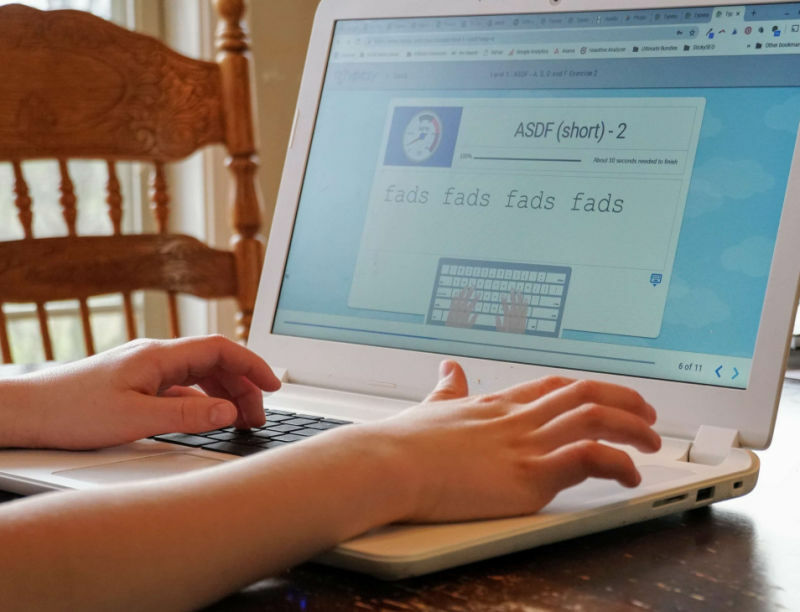 The student can see their typing competency, speed and accuracy. They also have medals; Bronze, Silver, and Gold, that correspond to levels within the program. Kids can easily see how many points they need to earn to level up. The student dashboard helps to build up my children’s confidence and independence, since everything is clear and concise. Since Typesy is cloud based, it’s simple to access it, no matter where we are. 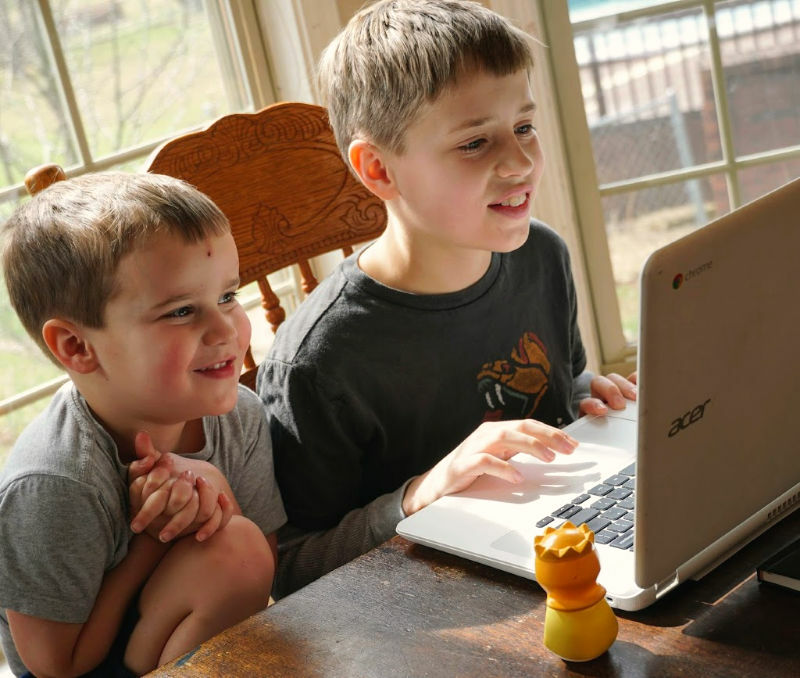 I can have one child working on my Mac desktop, while their siblings work on one of our Chromebooks, or even on the iPad. During a visit to the library last week, the boys were able to practice on the PCs there while Daniel was in storytime. Everything is automatically synced, so they can pick up where they left off, no matter where they’re accessing the program. It’s not JUST for kids. I’m working through some of the levels myself, trying to break some bad habits learned during my ‘hunt and peck’ stage. Competing with my kids helps to motivate me, and is also good for lots of laughs in my house. Typesy is a complete, comprehensive typing program, with 377 lessons from start to finish. The lessons are separated into courses, and each course is divided into sections. A course is likely too long to finish in one session, so I just set a time limit of 15 minutes for my children. I’m totally fine with them working longer, if they want. Working through these ensures mastery, with plenty of practice, and incremental work. 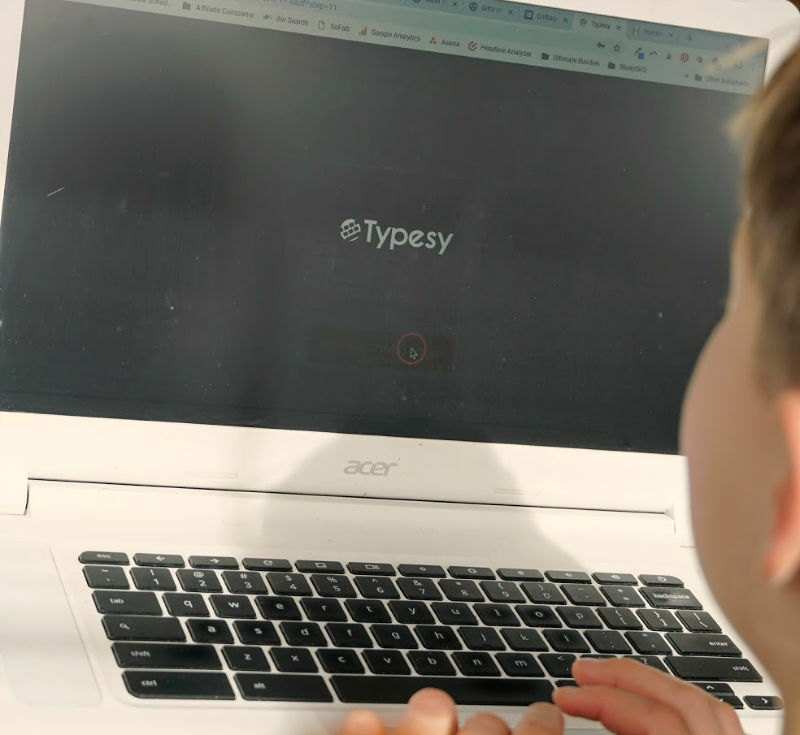 Typesy uses muscle memory to help children (and adults) learn touch typing skills. 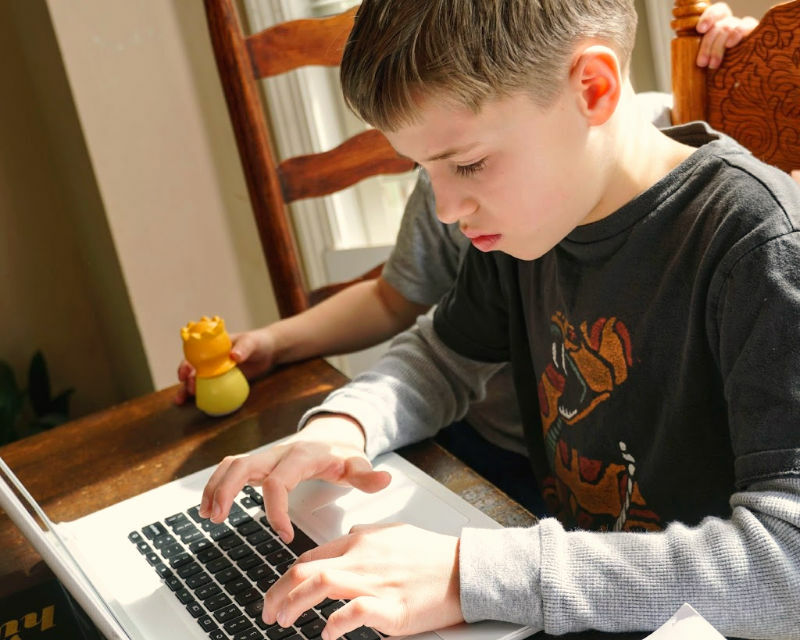 First things first, they focus on proper, accurate touch typing techniques that work. 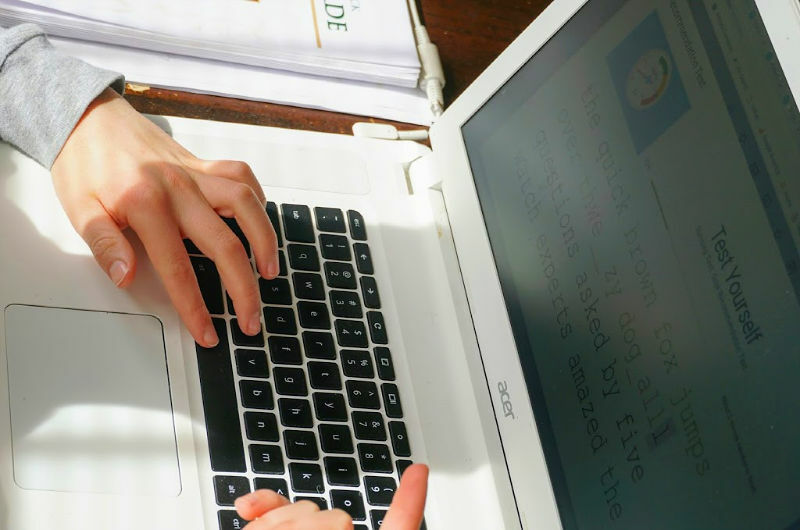 The beginner courses in the program are focused on punctuation, numbers and symbols. Courses further along in the program cover areas such as building accuracy, speed, and dictation typing. 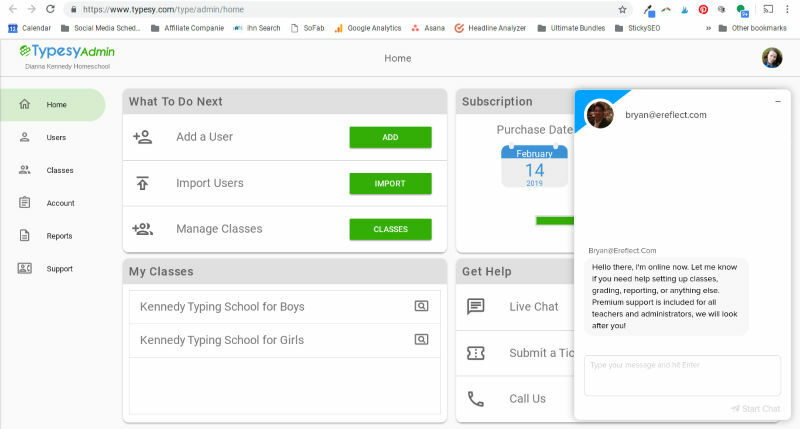 The lessons cover different sections of the keyboard, including all three rows, the shift keys, punctuation, numbers and symbols. 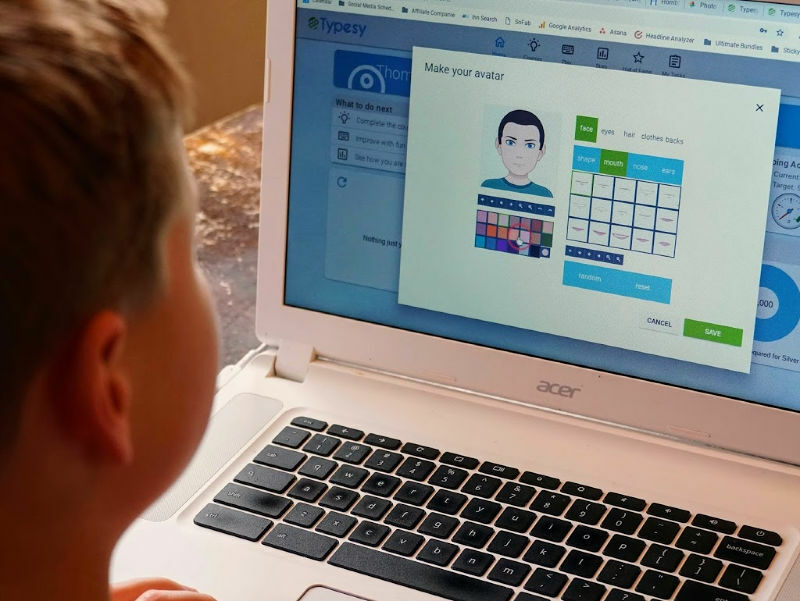 If you have a child who likes to work ahead, Typesy actually has new lessons locked. This lets me know that my kids aren’t moving ahead before they’ve mastered a level. The adaptive learning within Typesy is wonderful! I’ve seen it repeat letters and letter sequences for my children when they need more practice. Even the games seem to increase or decrease in difficulty depending on their progress. 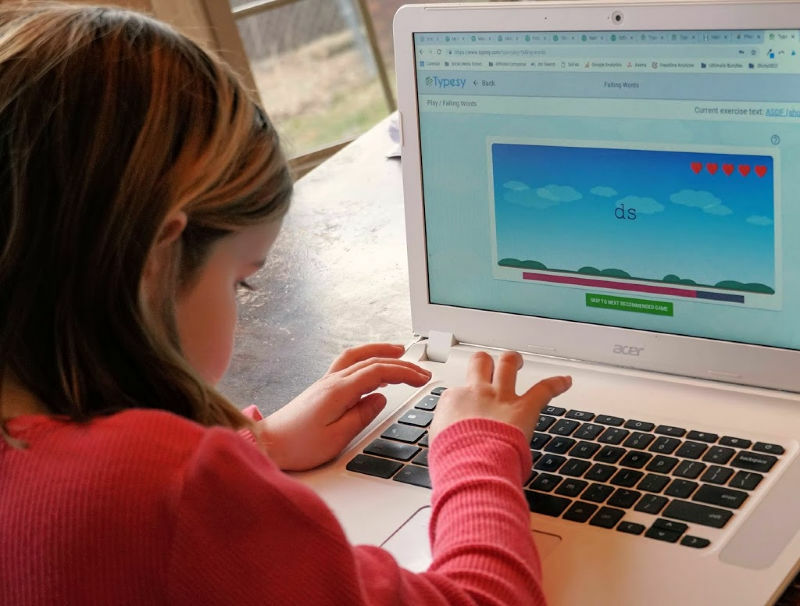 Each lesson is adapted and customized for each child’s current skill level. Even the games cover different aspects of the typing process. Some are geared toward building accuracy, while others work on boosting typing speed. The games are fun, but not silly or juvenile. I have fun comparing my scores to the kids! I appreciate that there are ZERO ads within the program. Ads can be a distraction for my children, and I also worry about random junk popping up. An ad free zone means I can leave the room and do other things without worrying. The customer service is super quick. I had a question about resetting Maeve’s password. I used the chat box, and had my answer within a few minutes from the friendly attendant. You can also email customer service for help. Because Typesy is long term (you’ll have access for five years! ), I don’t feel rushed and hurried about working through the program. I’m confident that we’re aiming for mastery, not just pushing through to get our money’s worth before a subscription ends. My kids love being able to customize their avatar, collect points and play games. They’re learning to type like pros, but having fun in the process! I’m surprised at how much my children have improved with their typing skills, even in a short period of time. When Maeve wants to work on her typing, I usually sit with her, to keep her from getting frustrated. The program adapts to her level, and doesn’t try to progress her through as fast as her older brothers and sister, who are more experienced. 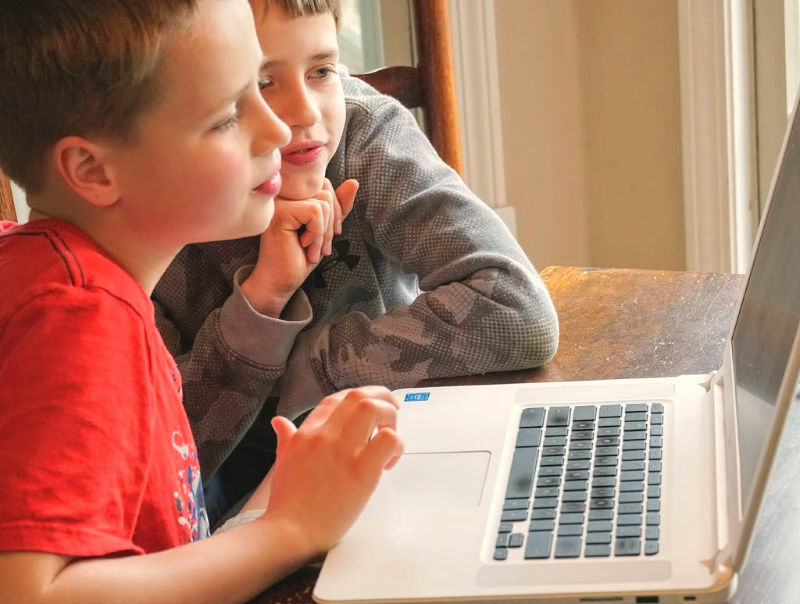 Even though you’ll find fun games in the Typesy program, it doesn’t rely on bells and whistles to appeal to families. It’s not babyish, so tweens and teens will have no problem using the program. 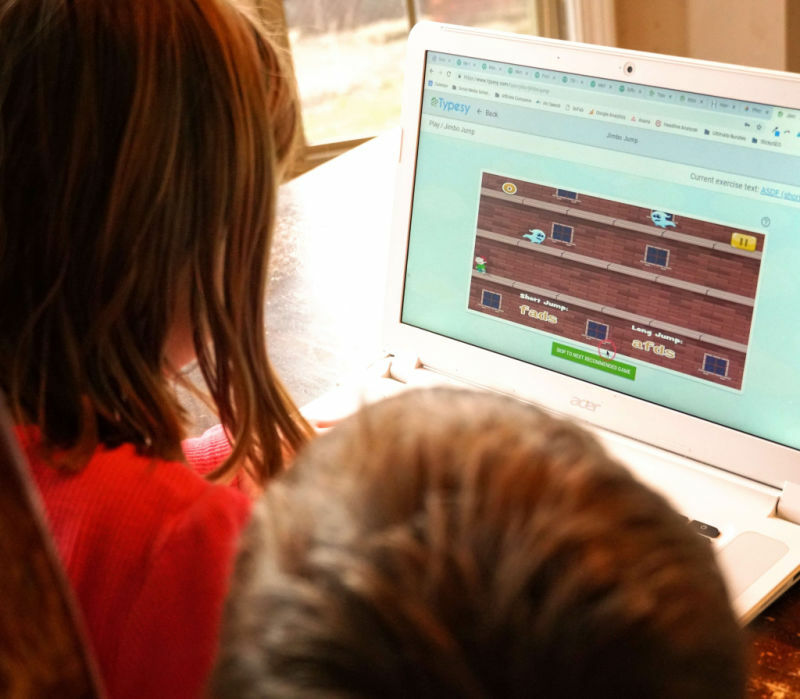 Playing games inside the Typesy platform helps my kids improve their skills, even with just a few minutes a day. I’ve been very satisfied, and don’t see a lot of room for improvement. The only thing I’d like to have is a weekly log to be emailed to me, but that’s not a deal breaker. 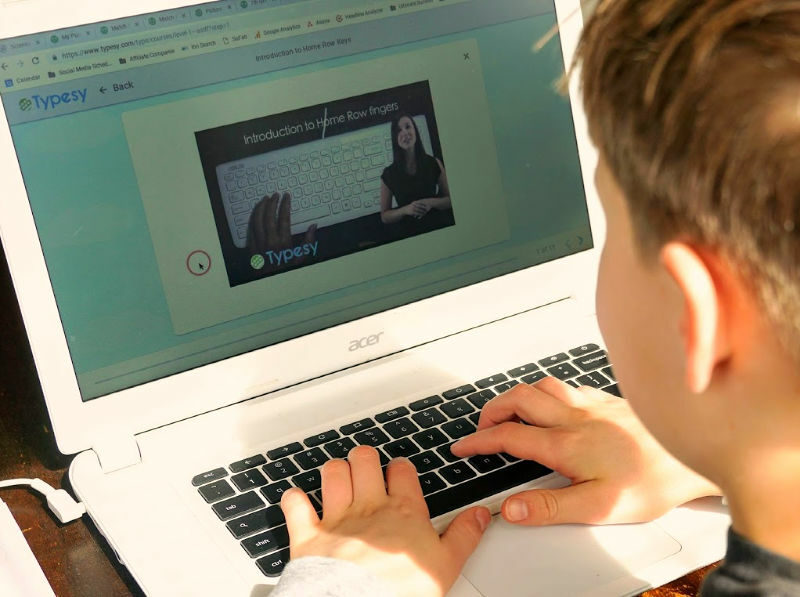 How Much is this Amazing Homeschool Typing Program? The Typesy Homeschool Edition has three different pricing structures — just pick the one that works for you. Typesy offers an unprecedented 365 day money back PLUS guarantee. They’ll give you your money back, PLUS an extra $50. It’s a winning situation for any family. 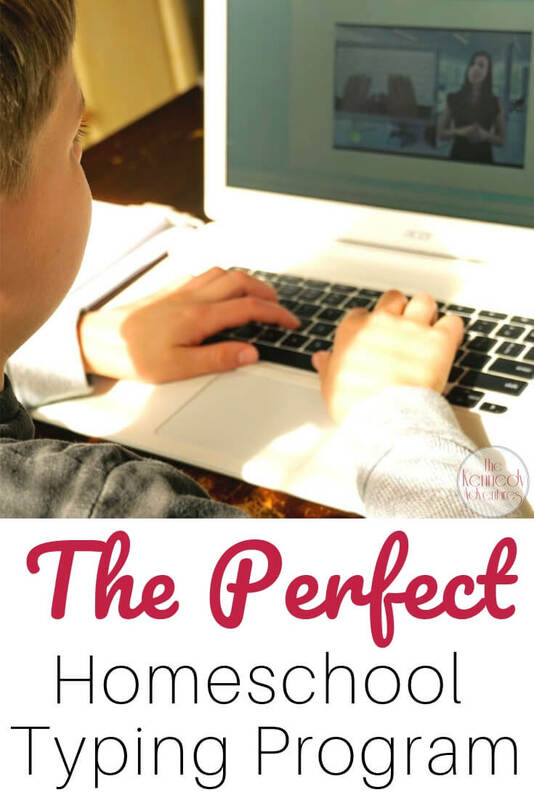 Are you teaching your children to type in your homeschool? I’d love to hear your experience.